Get 10% off with code MMA. Clinch Gear makes top of the line training shorts. They also make t-shirts for Dan Henderson and Fedor Emelianenko. 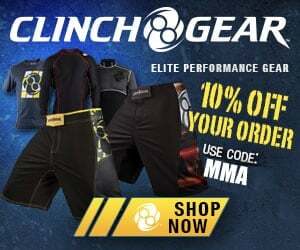 Use our Clinch Gear Coupon for 10% off with code MMA.